-- Kapri Bipps added by Washington...no threat to Samaje Perine. -- Joe Haden possibly back this week for the Steelers. -- Washington LB Zach Brown to miss at least one week...giving Joe Schobert the opportunity to take over the league tackle lead! Big news!! -- Minnesota's Riley Reiff could be out this week as well. -- Wow, what a shocking night of events. Tom Brady and Brandin Cooks unceremoniously ended a few fantasy season with a horrible game at the worst time, and then I watched my recorded The Walking Dead midseason finale after that. My world has turned upside down. We'll get into the Pats game today, for sure. -- Whoa...the Bengals asked John Ross to consider a move to cornerback. They told him it was about depth...I have a feeling they realized they made a horrific 1st-round pick in 2017, He's S-A-W-F-T.
-- Don't rule out that Joe Webb might be the QB this week for the Bills...I think it's 40% possible right now. Peterman is out, I'd almost guarantee it with the hit he took Sunday. Taylor is not right...so, it's all about whether they want to go one-legged Tyrod or not. -- FYI, Arizona lost two more OLs for this week. Consider that for better/trying to roll with Kerwynn Williams/Gabbert's time to throw/the Redskins as a deep sleeper DST. 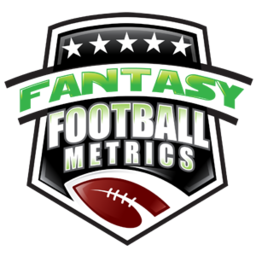 -- The critical Week 15 projections vers. 1.0 will be out around 8pmET tonight. -- Three game recaps planned along with stash report updates.